The Kane Queensland team are proud to be corporate sponsors of the 2019 MS Brissie to the Bay ride. The ride raises money to help change the lives of the thousands of Australians living with multiple sclerosis. The average age of diagnosis is just 30 years old, and four people are told they have MS every day. Last year Kane delivered the Springfield Health City One project. This was the first development as part of MSQ’s ‘Project Dignity 120’, and the construction of 18 assisted living apartments has become the benchmark in care, providing affordable and accessible homes for those who require high care support. The apartments include wider doorways for wheelchair access, adjustable bench heights, automated appliances and 24 hour carers on hand. Watch the ABC News video featuring Springfield Health City One’s MSQ Assisted Living. 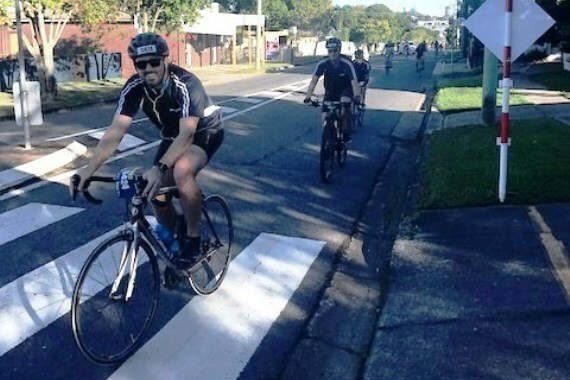 Every year, the Kane Queensland team form a group of riders to partake in the MS Brissie to the Bay ride to support people living with multiple sclerosis. Last year Kane raised over $10,000!